Clean the Cauliflower and chop in to very small pieces. Boil the potato and finally mash it,keep aside. 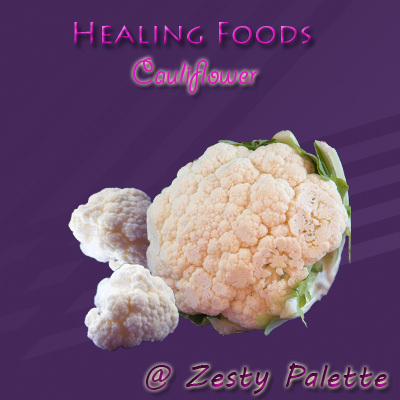 Take a wider bowl,add cauliflower,potato,ground mixture and 1 tablespoon maida,mix well. Now,mix remaining maida with some water,make in to a liquid form.Add little red color.Keep aside. Heat oil in pan for deep frying. Then,take the croquettes dip in to maida batter ,and roll in rusk. Shape and roll all croquettes ,arrange it in plate. Now fry it in medium hot oil,till it changes in to golden color. Then,drain the excess oil and transfer to kitchen towel. You can use food processer to chop the Cauliflower. After arranging the croquettes in plate,keep it in fridge for 1 hour and then deep fry it. Adding food color ,is optional. Linking this to Vardini's , Healing food -Cauliflower event, and sri's Cooking with sri. Wonderful snack and clicks look so inviting. Wow! !looks so yummy and perfectly made.I am drooling. yummy croquettes..very tempting ones and nice clicks..
yummy snack and looks more tempting...well presented!! Look soo yumm.. can you send some over? very delicious and tempting croquettes!! I love this any time of the week..You are making me to have it now..
Nice presentation and inviting snack. Thx for linking to the event. its my fav too...perfect version.. yummmy. Super Super tempting croquettes, makes me hungry..well done dear. 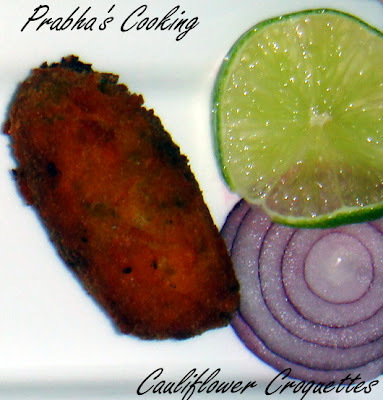 Awesome and yummy croquettes.Do send in ur entries my pualo event.